So You’re Looking To Adopt and Train a Golden Retriever? The Golden Retriever is the most popular family dog in the UK and one of the the most poular breeds in the world. This doesn’t come as a surprise since golden retrievers are very friendly and intelligent. Because of their versatility, they are employed in a variety of roles including illegal drug detection, search and rescue, as hunting dogs, and as guide dogs. Golden Retrievers make good pets, they are loyal and easy to respond. They are also among the smartest dogs in the world. If you would like to receive some free advice on Golden Retriever adoption to help you prepare for life with a Golden Retriever, then why not sign up for my short mini course, that will be delivered direct to your inbox over the coming weeks? 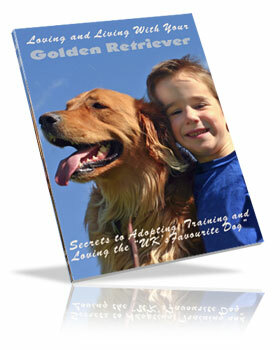 * General hints & tips on golden Retriever adoption and care and much, much more!